Governor Evers has declared a State of Emergency for all 72 counties due to the winter storm and extreme (record) cold. 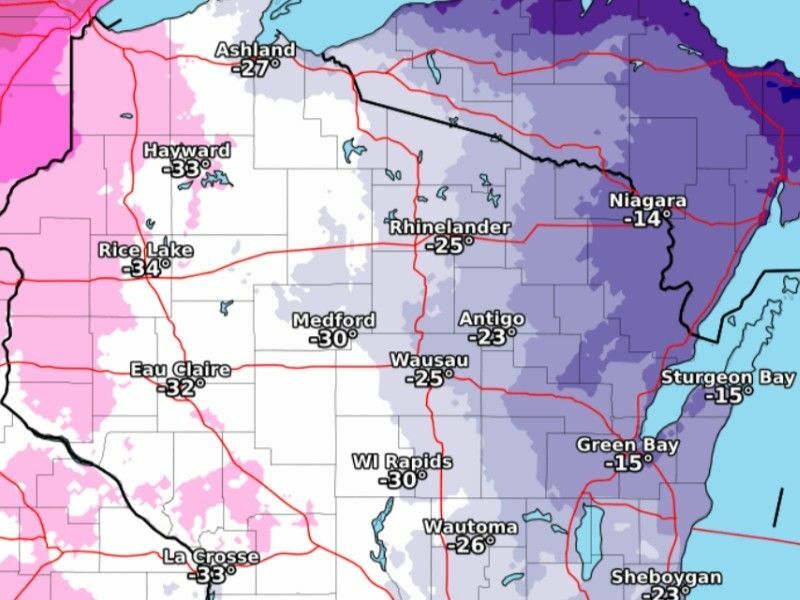 The National Weather Service is predicting between 40 and 50 below zero wind chills for our areas. (Press Release) -- Governor Tony Evers has declared a State of Emergency for the entire state of Wisconsin in response to the ongoing winter storm and the pending dangerous wind chills that will blanket the state the rest of the week. The Governor's Executive Order directs all state agencies to assist if there are any emergency response and recovery efforts associated with the snowstorm and cold. The order also gives Wisconsin's Adjutant General Don Dunbar the authority to call to state active duty soldiers and airmen of the Wisconsin National Guard to support local emergency responders if needed. This could include security, response and recovery missions. State offices remain open to the public and to all State employees. State agencies will follow their inclement weather policies. ReadyWisconsin is warning people about the snowstorm and bitter temperatures, and suggests taking the following precautions to keep you and your family safe. Pets also need extra care when the temperatures fall. They should be brought inside when the temperature reaches 30˚F with wind chill. Dogs and cats can get frost-bitten ears, nose and feet if left outside during bitter cold weather. Chemicals used to melt snow and ice can also irritate pets’ paws. Protect Your Animals from Extreme Cold - WI Dept. of Agriculture, Trade & Consumer Protection .